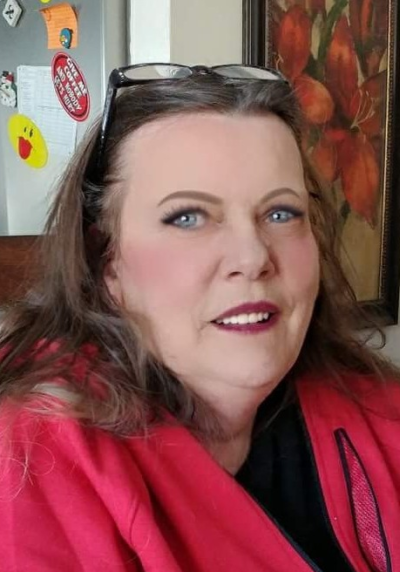 Kimberly Kay (Price) Bishopp, 60 of Eau Claire passed away on Wednesday, January 23, 2019 at Dove Healthcare-West due to complications of COPD. Kim married Donald Bishopp Sr. on February 25, 1983. Kim did various jobs throughout her lifetime, including working at REM and at various nursing homes and homecare as a Trained Medication Assistant, Certified Medical Assistant, Housekeeper, and in culinary food services. Kim is survived by her children, Melissa (Tom), Nick (Sarah), and Donald Jr.; grandchildren: Boe, Kyle, Tyler, Richard, Amber (Daryl), Myriah (Geoff), Westley, Annabel, and Rebecca; great-grandchildren: Riley, Hailey, and Addison; Step-father, Arthur; four brothers; sister, Delores (John) Pederson; and many nieces, nephews, and other relatives. Kim was preceded in death by her husband, Donald; father, Robert Price Sr.; step-mother, Alice Price; mother, Barbara Herrick; sister, Charlene; brothers: Thomas Clark and Kenneth Price; niece, Kristi; nephew, Sawyer; and great-nephew, Matthew. Burial will be on Saturday, February 2, 2019 at 3:00 pm at Oak Park Cemetery in Mondovi, Wisconsin. Friends and family may leave online condolences at www.smithfuneralec.com. Sending lot,s of Hug,s an Prayer,s to Kim,s Family. I new both Kim an Don . They were both Wonderful People. RIP Kim. Sending my condolences to you and your family sorry for your loss Kim will never be forgotten.